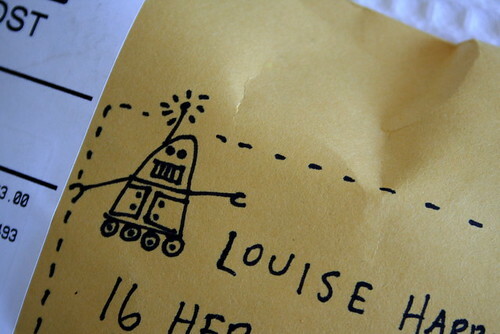 A few weeks ago I had an email from the lovely and clever Miss Smith asking if I wanted to swap some of my baby shoes for one of her robots. 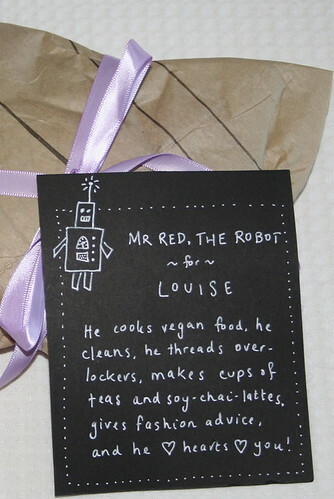 I have been coveting her wonderful robots for a while now and so I jumped at the chance to do my first ever "proper" swap. 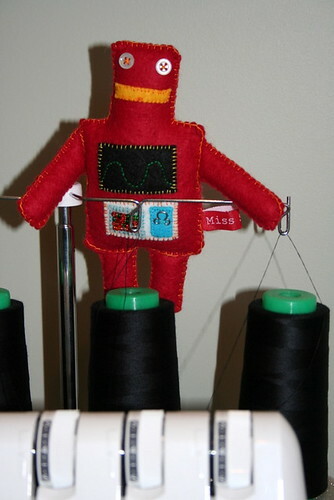 I asked for a red robot that could keep me company while I'm sewing and I've been eagerly awaiting his arrival. so cute. I want one. you think there might be one that does dishes? 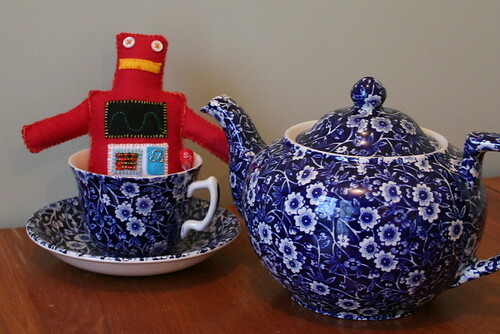 love the personality on paper - the kiddos'n'i had a ton of fun with these sock creatures last month - they're really friendly to make and have the same Quirk Factor that Monsieur Red Robot does!